ATTENTION ALL PRINCESSES! Step right up for a princess dream bounce! Get inside this castle and wait for your knight in shining armor to come rescue you! Join your fellow princesses and dance, bounce and hop your way to a fun party. 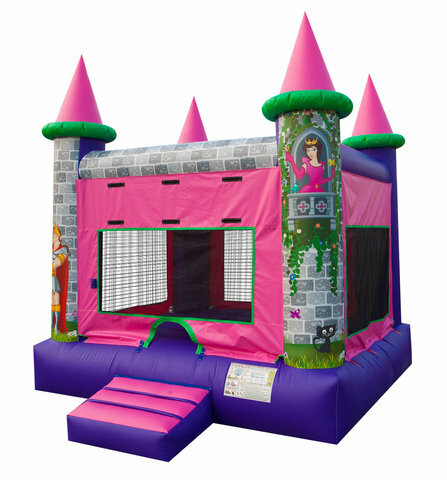 This Special inflatable will be the star of the show behind your Princess dress. Take a step back intime and enjoy this midevil unit with a touch of princess. The amazing bright colors really pop on this unit!